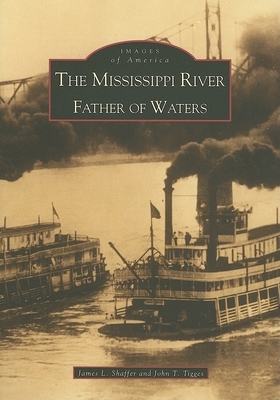 Named by Algonkian-speaking Indians, Mississippi can be translated as "Father of Waters." The river, the largest in North America, drains 31 states and 2 Canadian provinces, and runs 2,350 miles from its source to the Gulf of Mexico. The Mississippi River is truly one of the great forces that has shaped the United States into the country it is today. Although its role has changed over the past few centuries, the Mississippi has always been important to those who lived along its banks. Indigenous peoples fished its waters and depended on the waterway for transportation. Explorers and traders traveled the river in hopes of conquering more land and obtaining wealth for their countries. Settlers moved close to take advantage of the rich farmland the river provided. All of these pursuits resulted in a trade industry that brought about a social and economic transformation, when news and goods made their way downriver and livelihoods were provided. In fact, the Mississippi River's economic and strategic value was so important that when Ulysses S. Grant won the siege of Vicksburg and control of the river during the Civil War, the Confederacy was dealt a serious blow. Today, although still used to transport goods, the river has taken on yet another identity: that of entertainer. Literature, pleasure boats, and floating casinos all showcase a new dimension of this magnificent river.